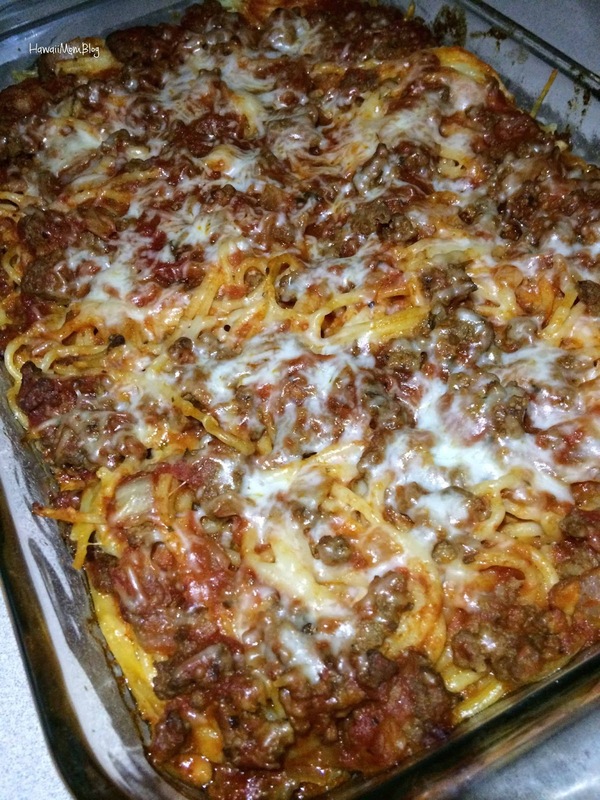 I recently made Baked Spaghetti for the family, and it turned out to be a huge hit. 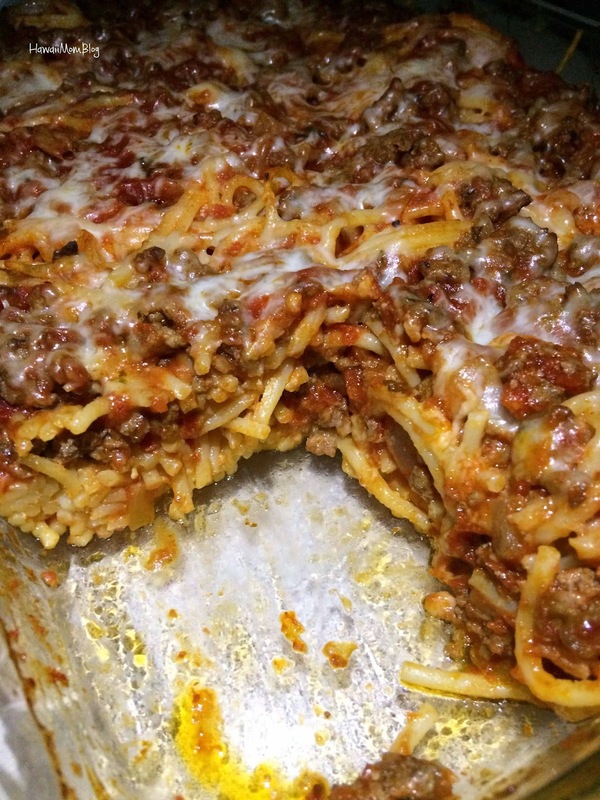 One slice of the baked spaghetti is so filling since there are so many layers of meat, cheese, and noodles. The next time I made it, I decided to split the recipe in half, so instead of one thick multi-layered pan of baked spaghetti, I baked two pans of baked spaghetti with less layers, and froze one for later. This recipe will definitely be cooked up a lot in my kitchen this year! Cook beef and onion until meat is browned (approximately 7 to 10 minutes). Stir in spaghetti sauce and salt. Whisk eggs, Parmesan cheese, and butter in a large bowl. Toss spaghetti in mixture. Place half the spaghetti mixture into bottom of prepared baking dish, then top with mozzarella and meat sauce. Cover with aluminum foil and bake for 40 minutes. Remove foil and bake for 20 minutes. . Original recipe found here on Allrecipes.com. This looks delicious! I've always wanted to try baked spaghetti. This looks like an easy recipe. Thanks for sharing!